When my little brother Logan turns 8, he wants to get yabbie crayfish as pets for his bedroom as they look cool and are very easy to keep. Also known as common yabbies, these cool looking crayfish can grow up to 20 cm long and have large claws that can pinch hard. They come in a range of colours, including olive-green, brown, blue, red, yellow or black. Although they live in water, they can survive droughts for several years by burrowing themselves in river beds and remaining inactive until the rains return. Even though they look scary, yabbies mostly eat algae and rotting plants, although they will also eat other small animal matter and even other yabbies if food is scarce. They start to breed when the weather gets warmer in spring and the females can carry up to 1000 eggs that are attached to fine hairs on their swimming legs. 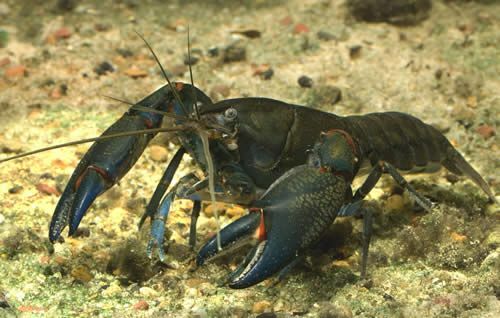 Although some scientists consider yabbie crayfish to be vulnerable to extinction, they are still very common throughout Australia and are actually considered a pest in Western Australia where they have been introduced. Are there any other interesting facts that you would like to share about yabbie crayfish?